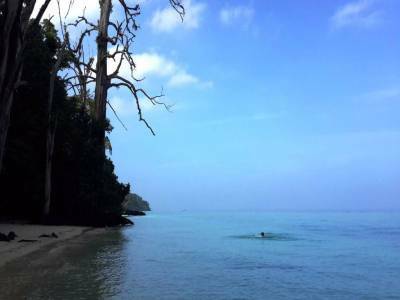 Elephant Beach of the Andaman & Nicobar Islands is one of the main tourist attractions of this part of the Indian sub-continent. 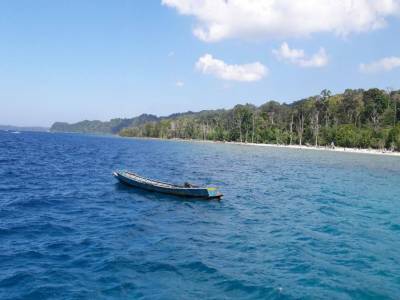 The island conglomerate of Andaman & Nicobar union territory is a tourist paradise for both sea lovers and other terrain travellers. 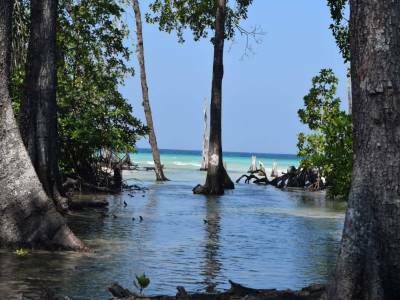 One of the main tourist spots of Andaman & Nicobar tourism is, without a doubt, the beautiful island of Havelock. 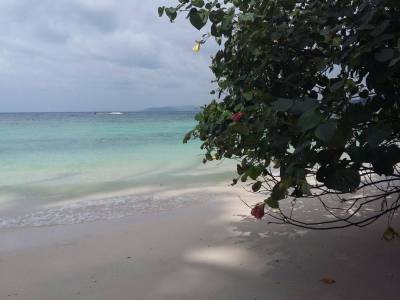 The specialty of Havelock Island is that it has many beaches and all of them are unique in themselves. The Elephant Beach, located to the north eastern part of the island is travelled from the Havelock Port. 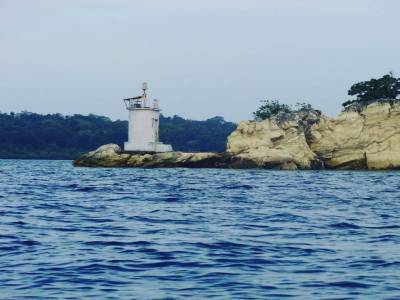 It can be reached by both land and sea but the cruise ride to the beach passing by the lighthouse is an experience that one should not deprive oneself of. The Elephant Beach is a scenic feast where the nature has presented itself in her every colour. The pristine white sandy beach, the rocky hills of the backdrop, the turquoise blue clear & calm sea water, the long lines of coconut & palm trees and the green mango creeks just makes elephant beach a mystical requiem. The uniqueness of Elephant Beach lies in the presence of the coral reef and the availability of water sporting activities like snorkelling, sea walking and so on. Get quick answers from travelers who visit to Elephant Beach.